Especially created for the Car Repair market, Dynacoat offers a complete and highly competitive car paint system. With all the car colors of the world at your disposal, it satisfies a worldwide demand for practical and effective car refinish. Dynacoat provides a complete car refinishing product range that measures up to the highest standards. Yet good quality does not have to be expensive. With high competitively priced products, Dynacoat stands for both quality and affordability. With Dynacoat you can mix almost any car color with extreme precision using a minimum of mixing colors. 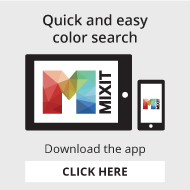 Furthermore, the Mixing Machine concept includes professional color documentation to keep you up-to-date on the latest car colors. Dynacoat comes with an extensive sales support program. This is a personal and pro-active program designed to help you promote Dynacoat products. Sales support, Technical support and Color support. Join team Dynacoat and boost your sales!